State environmental officials say about 13 percent of the trees in Rhode Island's forests are now dead because of an unprecedented combination of heat, drought and insect infestations over the past two years. The Department of Environmental Management says the area of dead trees is concentrated across the western half of the state, from Hopkinton to Burrillville, with pockets on Prudence Island and the Sakonnet Peninsula. The Providence Journal reports that the area of tree death totals about 45,000 to 50,000 acres. 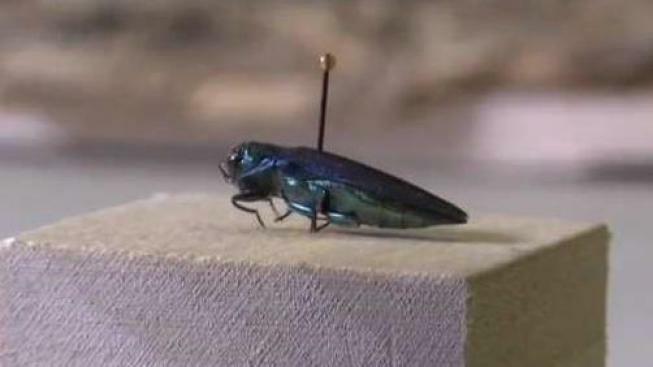 Much of the attention on insect outbreaks in the United States has focused on bark beetles that have decimated forests in the western part of the country, but forest pests are a growing concern in the Northeast — including the recent appearance of the invasive emerald ash borer.